Your donation gives a first-time offender a second chance and the community a voice in reducing the impact of crime on its neighborhood, Please consider donating to RCJA. For as little as $10 per month, you can ensure that RJCA is able to provide a community conference, which has the power to reconnect communities and rebuild trust. The word of Restorative Justice Community Action is made possible through the generosity of individuals, foundations, congregations, corporate sponsors and agency partnerships. 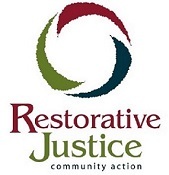 Thank you for your support of our mission of strengthening communities through restorative justice practices. Checks can be sent to: RJCA, 401 Groveland Ave, Minneapolis, MN 55403. RJCA is a US 501(c)3 non-profit organization, which means donations are fully tax deductible according to the law. Select a donation option below to make a donation now!